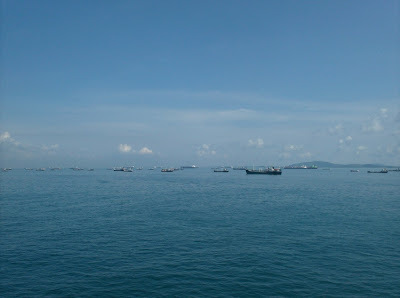 After three and a half weeks at sea we stationed the sea and anchor detail and entered port in Singapore yesterday. Singapore is one of the busiest ports in the world, and the sea lanes that pass by her shores are arguably the most busy in the world. As a result, it provided an opportunity to season some of the most junior officers that man the bridge. A typical officer arrives on board just out of college and knowing little about ships and their operation. They will spend most of their first year aboard standing a watch on the bridge to qualify as an Officer of the Deck. They must of course learn the technical details – the way the ship handles, the lighting schemes on other ships, rules of the road and basic navigation – but most important they must develop the judgment necessary to make decisions that affect the lives of hundreds of Sailors and the well-being of a $1+ billion warship. At sea, passages with other ships are typically done thousands of yards away, but in a heavily traveled port, an officer must develop the skills to make a passage with as little as forty or fifty yards in a narrow channel, and the judgment to decide whether such a passage is wise. All through the night the OODs made calls to the Captain to inform him of passing situations and check their decisions, and the tension in their voices betrayed the lessons they were learning. However, once we finally had the harbor pilot aboard, they all succeded in making sound decisions, if not the best decisions in all cases. And they'll all be better mariners from the experience. Certainly bringing up stressful memories for me. The most busiest I've seen is coming into Yokosuka, Japan. Don't forget to check out Clarke Quay, that district was re-done a few years ago is a total blast. Learning the trade by immersion...no better method to sharpen the skill set. As a brand new ENS sailing the English Channel at night in summer of 1977, I certainly thought I had run into the busiest sea lanes on the planet...but what did I know? It was my very first OUTCONUS trip as an assigned officer. OT; Just stumbled across an article for the general marine industry on doing firefighting training. At the end of the post, he indicates the basis is DCTT training! 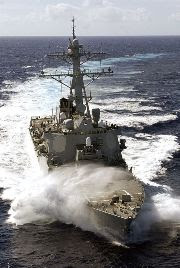 Navy know-how leveraged into commercial industry! I recall that as a young AW2 P-3 sensor operator I ran out of radar marks (system limit was 75 displayed) marking the contacts on the Yellow Brick Road. Enjoy Singapore; all of my stops there were MEDEVAC flights from Diego Garcia.